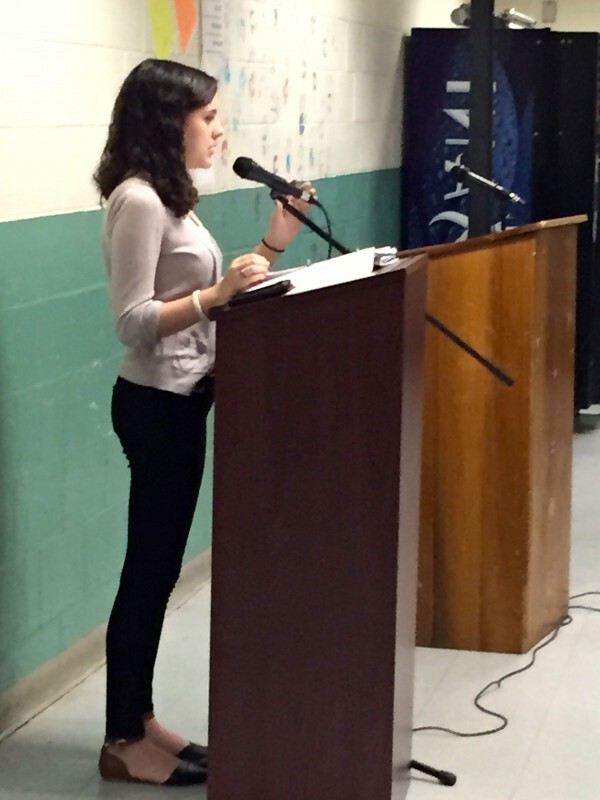 The Connecticut Middle School Debate League’s 2015-16 season got off to a great start on October 17th. 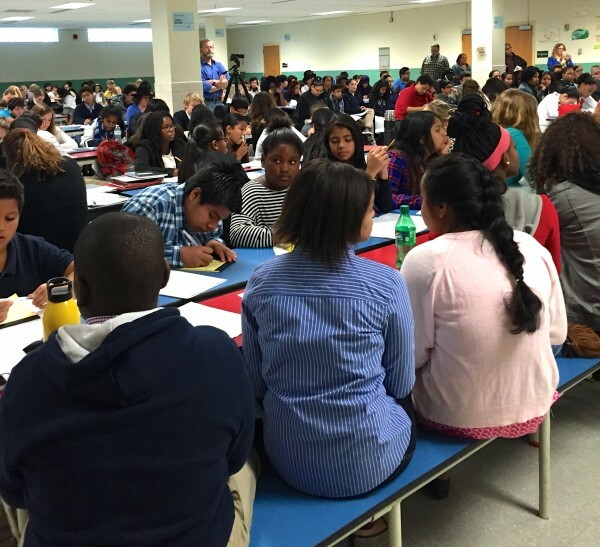 One hundred and three debaters from thirteen schools scrimmaged at Luis Munoz Marin School in Bridgeport. They did a fabulous job debating both sides of the motion: This House would lower the voting age for all US elections to 16. Many thanks go to Miriam Perez, debate coach at Luis Munoz Marin School, and Ron Rapice, head of the Bridgeport Public School Debate League, for hosting and organizing today’s event. We are also grateful for the sponsorship of the English Speaking Union, Greenwich Branch. President Natalie Pray and member Kathleen Whitby acted as timers, and Director Robert Whitby judged. Impressively, eleven High School debaters from six schools volunteered their time to judge rounds, and six of them also treated us to an outstanding demonstration debate. Thank you! Coaches and students can find their scores at: http://ctmsdebate.org/wp-content/uploads/2015/10/Scrimmage-Box-Scores-10-17015.pdf. The next event will be a tournament at Classical Magnet School in Hartford on Saturday, November 21. The motion for that tournament will be released soon. Hope to see you there!